Reports state the British submarine H.M.S. 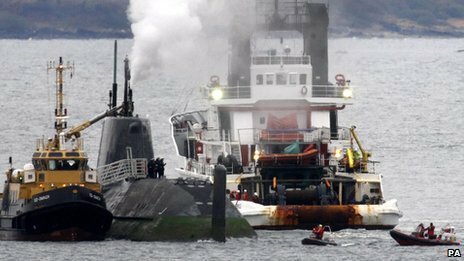 Astute was in a minor collision with a coastguard tug Anglian Prince while being freed on October 22, 2010. The collision damaged the sub’s starboard foreplane. The Astute is currently docked at Faslane base.